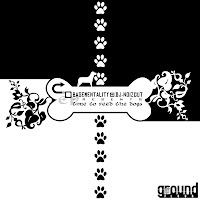 "Basementality vs Dj Noizcut - Time To Feed The Dogs - 2005"
Basementality is project aimed on alternative hip-hop production. At the moment its a one member project from the north of Czech Republic, who has produced Czech hiphop bands under the moniker of "mr.scarface". This project was created between summer / fall 2005. As producer for two years, he utilises deep ambient effects, distorted sounds, with a combination of electronic and live drums to create his brand of triphop, alternate hiphop and downtempo. Basementality runs the "Ground Floor Records" net label as well as mixing, and mastering releases for 'GFR' artists. This producer / DJ from Highland presents abstract hip-hop in its classical appearance - lot of samples from archaic records, mainly analogue sound and nostalgic feeling, all of this supported by non-traditional scratches.You will hear also his scratches on releases of fellow 'GFR' members. ostatnio go w ogóle na soul`u nie ma..